Today I will do a brief summary of the previous posts and some final conclusions/thoughts of my own about using Mod Podge for paper quilled jewelry. Mod Podge comes in many different formulas. Besides the original matte and gloss there are satin, hard coat, sparkle, extreme glitz, antique matte, fabric, outdoor, paper matte, paper gloss, and many more! They even have acrylic sprays for a final, more water resistant finish, and more products. There are a couple products that I’d like to try in the future including hard coat and dimensional magic. I think those might be a little more sturdy than the originals that I have tried. The Dimensional Magic in particular is specially made for jewelry making, so I definitely want to try that one out. It does have mixed reviews, though, so I’m not convinced that it’ll be better than either Diamond Glaze or PPA . But for my first round of Mod Podge testing I went for this starter pack . It includes original matte, original gloss, paper matte, sparkle, and outdoor. For the purpose of my trials I used original matte, paper matte, original gloss, and I also tried sparkle for a couple of the trials. I think this starter pack is great for those who want to try the different finishes, since each small 2oz bottle contains plenty of Mod Podge for quilling projects! 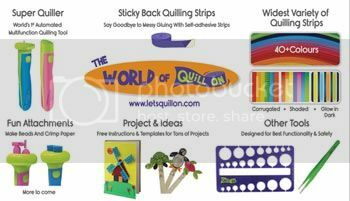 And if you don’t use them for quilling you can keep them around for regular glue/decoupage projects. There are many blogs dedicated to Mod Podge crafts! You NEED to apply it in thin light layers. Thick layers do NOT work because Mod Podge is thick and dimensional, meaning if you paint it on in a thick layer and it is not perfectly smooth, it will dry that way. It does not flatten out or smooth out like other thick topcoats or sealants that I have tried. The tiny little lump left by you lifting your paintbrush will stay there. Here is a photo of the four finishes I used. From left to right there is matte, paper matte, gloss, and sparkle. Paper matte has an opaque yellowish tint to it. It is most noticeable when in a thick blob, but if you put thin light layers then you can hardly tell. Depending on the color of your quilling paper it might seem a shade lighter after several layers of paper matte. The others are perfectly clear. Matte has a little bit of shine to it, and gloss has a lot of shine. One thing I like to test with sealants and topcoats is how hard the final finish is. Some have a fairly soft finish where if you stick in your fingernail it will stay there. Some will keep your fingerprint mark in it if you press hard enough. Others will stay hard and glossy unless you really push your fingernail in it hard. Diamond Glaze has the hardest of any that I have used so far. Mod Podge has the softest. When you are using thin layers, this doesn’t matter too much. But if you use a LOT of layers so that the final effect is quite thick, you can tell that it is a pretty soft finish. It can have a slight tackiness to it as well. The bottles actually suggest using a spray acrylic sealant (Mod Podge sells one) over top to eliminate the tackiness. The tackiness would only be a problem if you pile your quilled jewelry together in your jewelry box. If they stayed that way for a long time they could stick together. But if you hang your jewelry, then it won’t be an issue. When I started my Mod Podge tests I knew that I would have to do different quilling styles to get the full feel of how Mod Podge works. So I did tight rolls, moderately tight rolls, and loose rolls. For the moderately tight and loose rolls I made flowers since those are common quilled jewelry shapes. When I did the moderately tight roll flowers I decided not to use sparkle any more, just to go with matte, paper matte, and gloss. I also did one flower with just liquid sealant, and left one plain so you could see how the Mod Podge affected the shapes of the coils (it didn’t). See more photos from that post by clicking here. The real test was next, using Mod Podge on flowers made from loose coils. This is the most challenging of all styles to use sealant or topcoat on, because it has a tendency to make the coils open up and look unsightly. Click here to view another post I did about how to avoid that using thinner sealants. 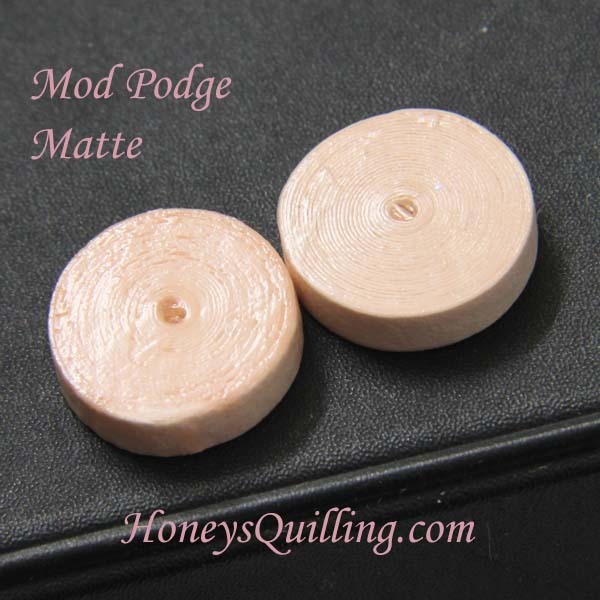 But for this post I specifically used Mod Podge, and I showed you exactly how thick of a layer to put on to make sure that your coils stay in place! Click here to view more photos of that process. 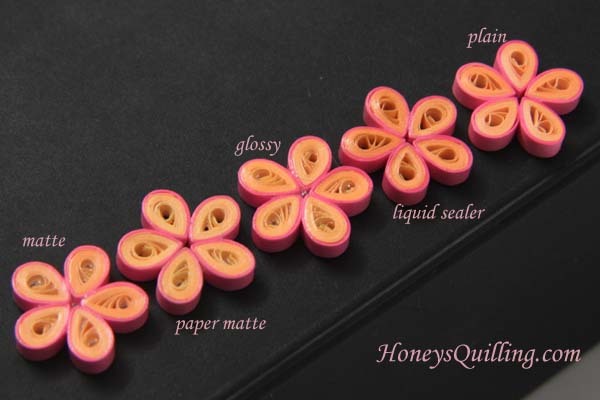 So I covered tight rolls to loose coils and showed what the different finishes of Mod Podge looked like on the quilling as well. But what a lot of people want to know is, in the end, is Mod Podge good to use for quilled jewelry? The short answer is yes, it will work. 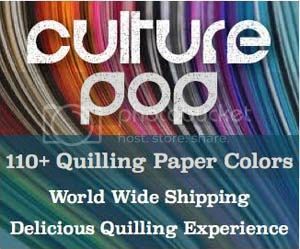 If Mod Podge is a product that you already have at home and you want to make some quilled earrings for yourself, then it would be a good choice. If it is the most easily available where you are, it is a good choice. In my humble opinion, it is not the *best* choice, but it does work. It is not the easiest to work with, but it will work. There are many other products that I would use before Mod Podge, but I am lucky to be able to have many products at my disposal (some I bought here in Malaysia, others I bought when I was visiting the US). But for those who don’t have all of those products and already have Mod Podge or easy access to Mod Podge, go ahead and use it! It is well known, reliable, water resistant, and non toxic. If you decide to use Mod Podge for your quilled jewelry, just remember to use several LIGHT layers to get the best effect. If you have any questions about Mod Podge or other sealants, leave a comment and I will do my best to answer! If you want to read more about different sealants and topcoats, CLICK HERE. Hi 🙂 mod podge is water resistant. If it gets damp, rained on, accidentally touches water, etc. It will be fine. But it cannot sit in a puddle for a long time, you cannot wear it when you go swimming, etc. Yes, I hear a lot of comments about the quilling shiner turning white after some time. I’d suggest using a different product even if it will cost more! I have not tried thinning mod podge. I know it can be thinned, but I don’t know how well it works once it is thinned.